Bengaluru FC, on Wednesday, announced their 25-man list for the 2017 AFC Cup knockout rounds as Albert Roca’s men prepare to take on North Korean side April 25 SC, at the Kanteerava Stadium, in a week’s time. 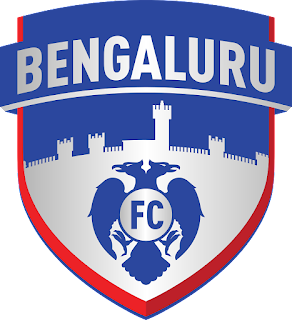 The new-look squad sees as many as fourteen new faces following the Indian Super League draft, and features two graduates from the Blues’ residential youth academy in Bellary. Australian midfielder Erik Paartalu, along with Spaniards Antonio Dovale and Dimas Delgado join defender Juanan Gonzalez to make up the Blues’ foreign contingent for the knockout rounds and Roca believes his side is ready for the task ahead. “We’ve had very little time to prepare but the trip to Spain has been good exposure for the boys. We’ve tested ourselves against good opposition and this is the squad that we’ve been able to put together. We have a week more to prepare and I believe the boys will be ready for the challenge,” said Roca. The first leg of the Blues’ Inter-Zonal semifinal against April 25 SC is set to kick off at the Kanteerava Stadium, on August 23rd with the return leg slated to played at the May Day Stadium, in Pyongyang, on September 13th. Midfielders: Erik Paartalu, Dimas Delgado, Toni Dovale, Boithang Haokip, Lenny Rodrigues, Alwyn George, Harmanjot Khabra, Malsawmzuala, Robinson Singh.